How Easy is EME to Set Up and Use? « Do I need to leave my passwords in my will? (Fotolia) Original Photo from Article Source: http://www.torontosun.com/2015/10/28/dying-in-a-digital-world-means-life-after-death Following the memorial service or with the deceased? Smiling or looking mournful? Following the memorial service or with the deceased? Smiling or looking mournful? Snapping funeral selfies is alive and well, even though it’s a hotly debated topic and considered sacrilege by some. Actually one in five millennials are super chill with funeral selfies, reports a U.S. study by Lustre Premium White, a maker of teeth-whitening products. Here in Canada, put that phone down, say 84% of Canadians polled. Only 5% think it’s an acceptable practice, reports Arbor Memorial, a Toronto-based funeral service centre. “But, increasingly, as selfies become an accepted way we express ourselves in society, they may become more common at funerals as well,” says Brian Snowdon, president of Arbor. 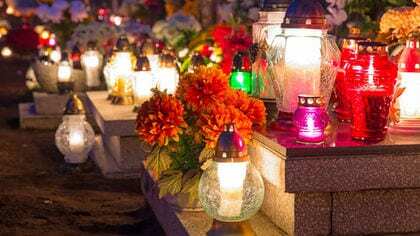 From funeral selfies on Facebook, twitter and Instagram, and funeral hashtags, to social memorial pages, uploaded video tributes, livestreaming and blogs, popular platforms are the new mourning rituals for those craving connection and meaning. Merging digital and death is changing the face of the funeral industry, not only with social media postings but there’s more transparency to the industry, lifting the veil on the mystery and prices. Plus the internet means you never ever have to see the inside of a funeral home – you can order your own funeral online, including coffin and cremation. And at half the price of traditional funeral homes, says Eric Vandermeersch who runs basicfunerals.ca, which has seen continued growth in automated funerals since the one-stop-shop undertaking launched online in 2009. The mortality market is changing big time with fancy traditional funerals dying off and a no frills movement moving in. “People just aren’t having as many funerals anymore. Direct cremation and memorial services are on the rise,” says Vandermeersch. Long-drawn out visitations and open casket viewings are becoming a thing of the past. Not everyone is looking to be a big spender. “People want options and they don’t want to be cornered into paying too much,” says Vandermeersch, adding that cremation has replaced burial because of its simplicity and cost effectiveness. Meanwhile, according to Snowdon, baby boomers are transforming every industry and impacting change – the funeral and cemetery business is no different. “Boomers are bringing forward and exploring unique ways to express their identity and mark their passing. “Funerals are evolving quickly from black-clad, sombre gatherings to highly-customized, reflective and often celebratory events, featuring homages that capture the spirit of the dearly departed.” Arbor has helped families organize poker parties, motorcycle parades and butterfly releases – it’s about providing options to families that they find meaningful, says Snowden. According to Arbor Memorial poll, 53% of Canadians envision their end of life memorial as a celebration of life, and 45% want to customize their own funeral. Yet 60% are still not talking about their funeral wishes and plans with their loved ones. The use of death midwives is growing, says Martin, who runs funeralalternatives.wordpress.com. The internet has helped spread awareness about this movement that helps support home-based death and funeral care. “Many people are surprised to learn that it is, in fact, perfectly safe and legal, in every Canadian province, for family and friends to wash, dress, and lay out the bodies of their loved ones at home,” says Martin, of Hamilton, ON, adding that death midwives help people reclaim time-honoured, final acts of love and care. Eco-funerals are getting more popular too, she adds. A green/natural burial is the lowest-carbon footprint disposition option – it uses only biodegradable coffins or shrouds and no embalming fluids or cement vaults are permitted. Copyright © Executor Made Easy 2019. All Rights Reserved. Personal Asset Storage System. Make it Easy for your Executor to find your Personal Information to Finalize your Estate.